Hyperlinks are one of the central features of the world wide web. Many visitors will arrive at a website through links. Also, search engines count links when ordering website rankings and, in general, more links mean better rankings in the search engine results pages. Most webmasters will want to encourage links to their websites. 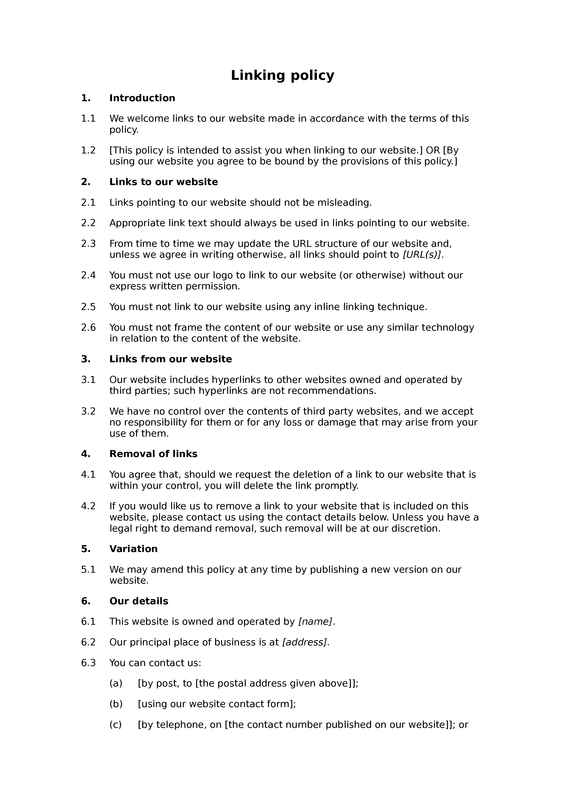 The purpose of this document is to help website operators control such linking. The provisions of the template cover both: (i) links published on the website; and (ii) inlinks from other websites. Unless you can establish a contractual relationship with the relevant person, provisions that purport to regulate inlinks are likely to be unenforceable. Introduction: links are welcome; status of linking policy. Links to our website: links misleading; appropriate link text; links to point to specific URL; no use of logo in links; no inline linking; no framing. Links from our website: third party websites: hyperlinks not recommendations; no responsibiltiy for third party websites. 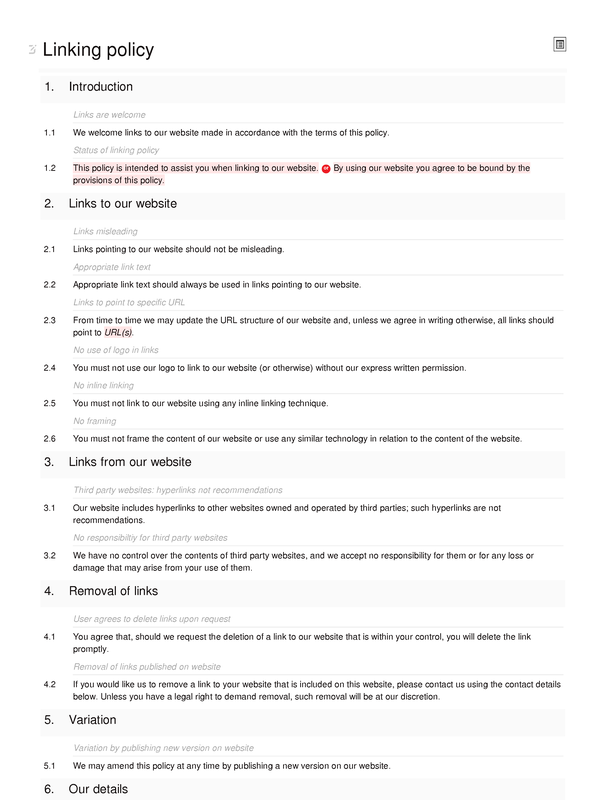 Removal of links: user agrees to delete links upon request; removal of links published on website.